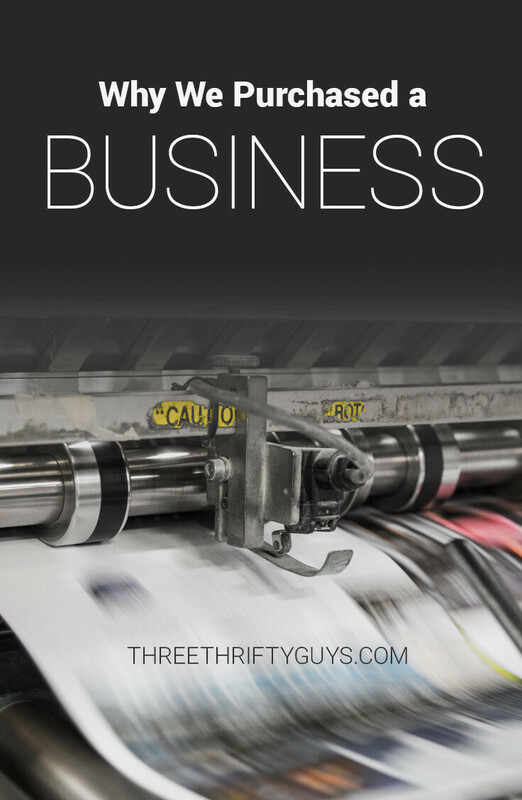 I’ve been thinking about writing this post for some time now after my wife and I purchased a business this spring. I’ve been holding on sharing too much as my wife and I are have worked through the details and (to be honest) been a little overwhelmed in taking on this “living” entity. There’s a lot of legalese and things to sort though in assuming a business (it’s no wonder many never start one – and I don’t blame ’em)! Here’s a little bit about that purchase and why we did it. In December of last year, I was browsing the “Business for sale” section on Craigslist and came across a small newspaper for sale. I emailed the poster, but never heard back. About a month later, I decided to send a follow-up email and soon got a response. The owner was very open and gracious and we soon met to discuss more of the details surrounding its operation and other details of note. It turned out the newspaper had been around as long as I’ve been alive, had consistent revenue and a solid team in place. Plus, its sole mission is to help and encourage people (how many newspapers can say that!). “Newspapers are dying though!” I know, this is what your thinking. And, for the most part, I agree. Yet there have been signs they are very much alive. About 5 years ago, Jeff Bezos (Amazon founder) bought The Washington Post for $250 million. At the time, the paper was laying off staff and not faring so well. Today, the paper is experiencing a rebirth via digital media and just capped off 2017 with another consecutive year of profitability. 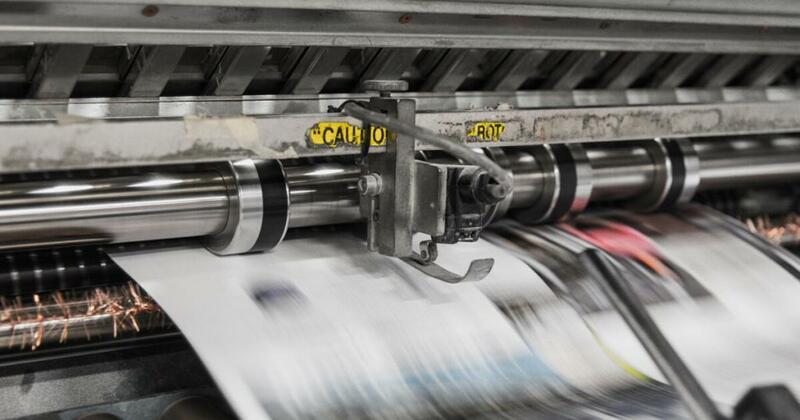 While many of the major publications are still stumbling a bit – it seems the smaller, independent newspapers are holding their own (and even thriving). So, while no business is fail-proof – I felt like this newspaper was worthy of consideration and – eventually – purchasing. I’m also glad this is something my wife and I are able to do together. Something that has really captured my “financial” thoughts of the past year or two is the idea that one can “retire” once all expenses are accounted for (plus, of course a little extra to tide ya over). While we aren’t “there” yet (retirement) – this will help us on the journey. Add this to the idea of building things, creating and helping others through these means – I was very intrigued when the newspaper ad came across my feed. I’m personally inspired by creating or being a part of something that can provide value for others while earning some monetary means from it. I also think many of us are constantly spinning our wheels in coming up with the “next big thing” or working on starting our own businesses – that we often miss opportunities to purchase something that is for sale and already up and working. For many years, I’ve been trying to create something out of the blue and have had minimal success. To own something that is already “living” and has potential – seems to me at least – a no-brainer. I’d be interested to hear if you also own a business and how that has challenged you, and/or what you’ve learned from it. I hope to write more about our experiences with the newspaper and some of our challenges along the way. Stay tuned. Congratulations on your new business! How exciting! I read A LOT of magazines and we do have a town newspaper that gets delivered every week (free to residents). Will a part of the paper be dedicated to frugal home improvements/living? You know how papers have a “entertainment or local” section? Maybe a section with retirement saving, grocery shopping, best part of a home to fix up for less money and then maybe get companies to advertise in those sections. If the area is mainly retired folks or elderly, maybe use a bigger font as well. So happy for you both and good luck! Hi Aaron! I am so proud of you and your wife for taking on this new business venture! I had never heard of this publication before, but since learning about it through the two of you, I have been reading it, and love what I have read so far…very relevant for me, but also for so many people in our world today! I loved the quote you used from the missionary about seeing where God is already working, and joining Him. I agree wholeheartedly with this and applaud you both for taking the time to look, and then get on board. And of course, I too would love to get involved in any way that I can, as I too have a passion for helping others, and using the gifts I’ve been given, writing for one, in order to do so. Thanks for sharing your story, and all of the great advice you and your guys provide! Best of luck on this new venture, and if I can “join you (and God) in any way, let me know. Thanks Colleen! Its often hard to execute on things OR even to know what to do next. Keep at er!